In July we told you all about, Tweetback, a brand new Twitter initiative founded in Cairo which managed to raise over $200,000 in the space of one week. Tweetback uses social media as a means of promoting and encouraging the public’s involvement in civil society. The premise of the fundraiser is to encourage donors to make contributions for a good cause, and in return the companies are promoted by Twitter users with a significant following. More importantly, Tweetback puts social media to good use by spreading public awareness about communities in need of help. Following the success of its first attempt, the Tweetback team is back, this time help out a different community in Egypt. Tweetback’s second run is going to take a slightly different approach. The event is being organized in cooperation with Coca Cola, as part of its Egypt Livelihood Program, which aims to develop 100 villages across the country over the next 10 years. The team will be taking the Tweetback tweeps, along with 250 volunteers, and members of Coca Cola Egypt’s staff to the community itself for a day. Volunteers were able to register using Coca Cola’s Facebook app, and with just over a week to go, not only have all of the spots been taken, but users are encouraged to continue to register for the chance to participate in future events. 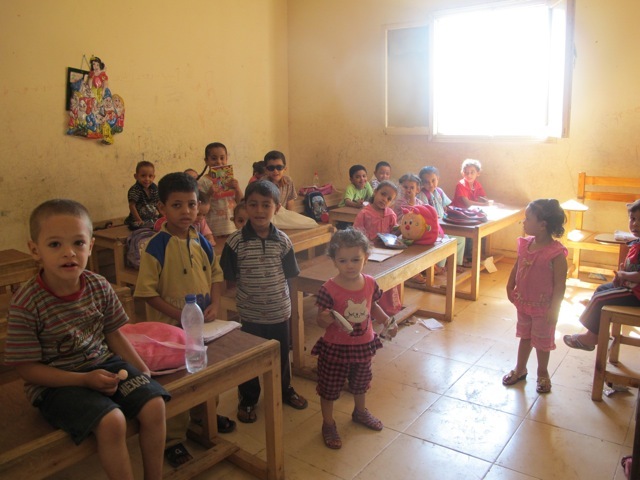 Geziret El Dahab, the community which will benefit from Tweetback’s second event has several issues that need to be addressed, mainly related to health and e ducation. The community has no schools, suffers from a relatively high illiteracy rate, and has only one health clinic and one pharmacy to address the needs of over 35,000 residents. The event will see some of the same tweeps involved last time, with a wide variety of journalists, radio presenters, actors, bloggers and activists, all banding together to help out a community in need. In the lead up to the event, the Tweetback team will be sharing information about the Geziret El Dahab on Twitter using its official Twitter account, as well as the hashtag #Gezireteldahab, and on the day of the event itself. The Tweetback initiative, founded by Egyptian blogger and activist, Mahmoud Salem, better known by his Twitter username, Sandmonkey, is not the only way in which Twitter and Facebook have been used in Egypt to spread awareness since much was made of social media’s use in the uprising that started on January 25. Twitter and Facebook continue to play a role in online activism in the country, whether to raise awareness about jailed bloggers, or to organize e-protests against the continuing practice of bringing civilians before military courts.